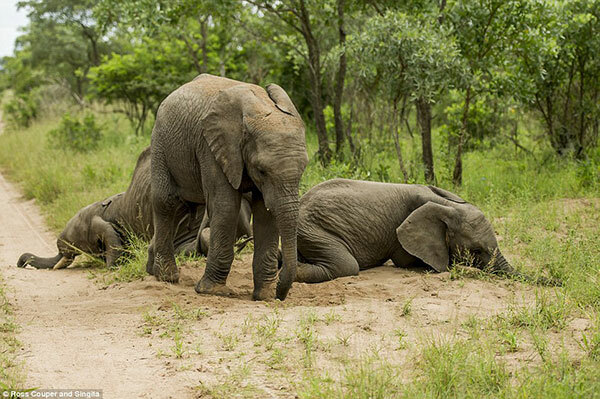 A photographer found a group of young elephants apparently drunk and disorderly. 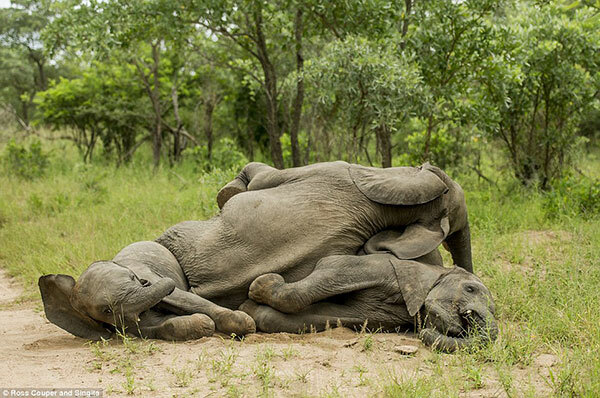 Ross Couper, the photographer, lost no time to capture the hilarious spectacle as the elephants stumbled around and fell over each other on the ground. 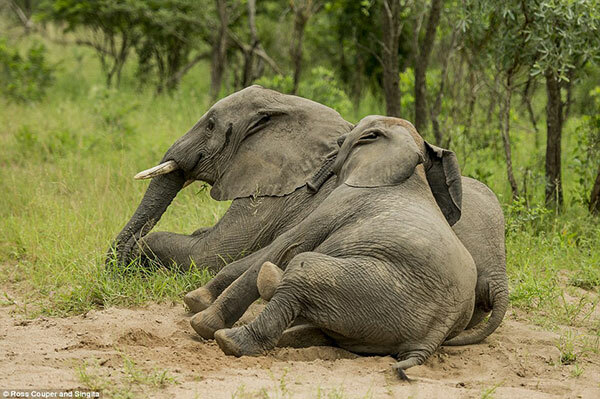 In case you’re asking, no one gave these elephants alcohol. 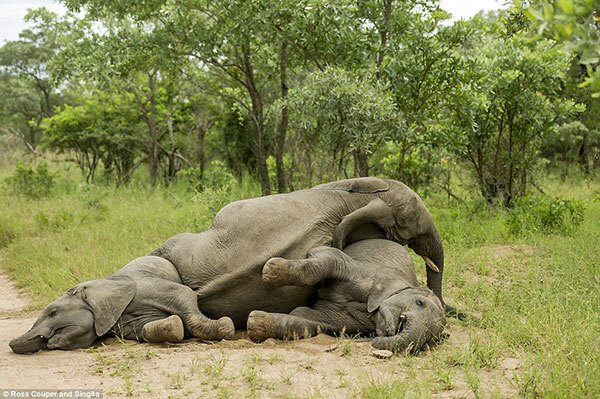 They got drunk themselves after they found and ate huge quantities of fermented marula fruit, which has an intoxicating effect when consumed in huge amounts even by large animals. Look at these two. I think they’ve enough to drink and just have to go home. Oopsie! A big buddy fell over them. It’s hard to get up, I know. 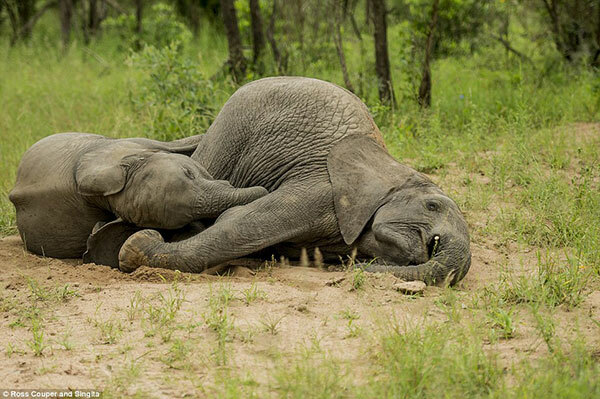 Lying down is better. Standing up would be a pain. 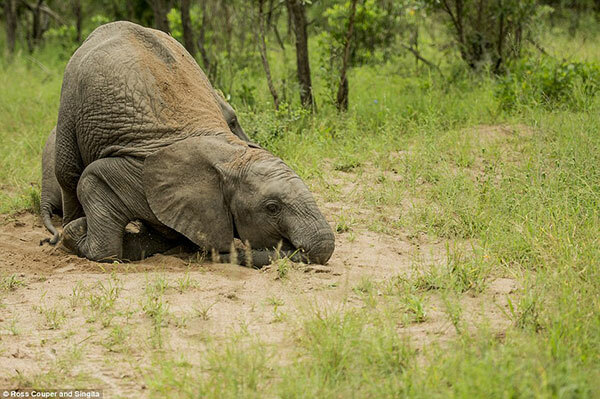 This one is really trying to stand up. Uh oh, this is not good. They can stay a while here and sleep it off. Yeah, that’s better. 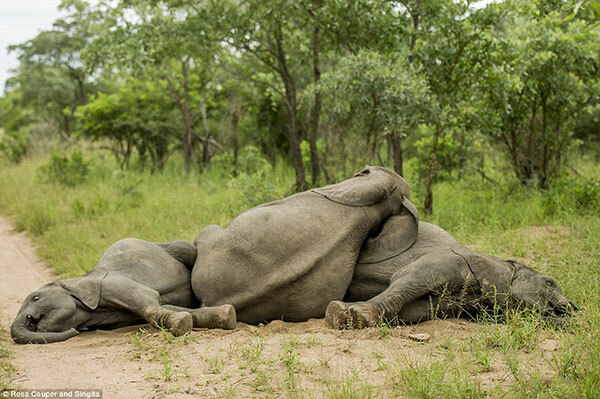 Hangover would be tough for these poor drunks. 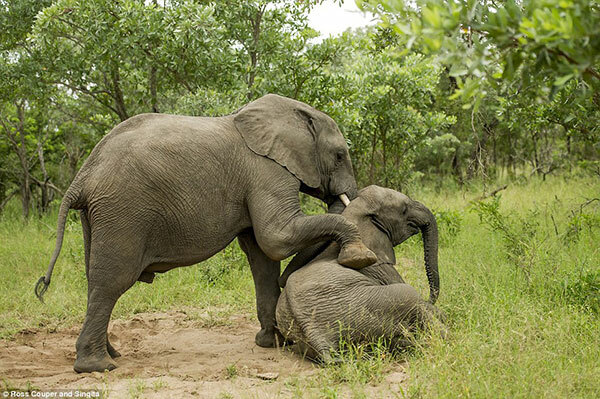 Elephants are known to have a great memory. Good luck to them remembering in the morning. Ha ha ha!